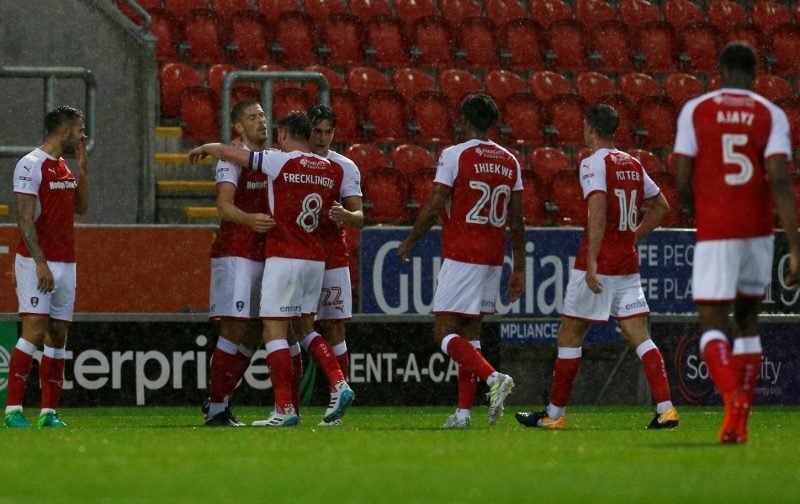 Rotherham United striker Michael Smith scored to give his side all three points this afternoon in the final minute of the game against Ipswich Town at the New York Stadium. The Match Sponsors gave the Man of the Match to striker Kyle Vassell and he was definitely in for a shout. Millers’ ‘keeper Marek Rodak made some pretty good saves to keep us in the game at nil-nil while, for me, Semi Ajayi had a brilliant second half. And you can’t not have a thought for the man who scored while skipper Richard Wood was alert at the back. I did think Ipswich were the better side in the first half, without really bothering Marek Rodak. The seemed to jump higher than us and were first to most ball while having the majority of the possession. Also I believe we gave defender Jonas Knudsen much too much room and allowed him to get crosses into the box which needed to be cut out. Saying all that Rotherham performed better in the second half, were faster, defended well without having too many shots at goal. But, it’s goals that count and on the afternoon Rotherham scored and Ipswich didn’t – once again proving that the Millers never give up. Let us have YOUR Players Ratings below.